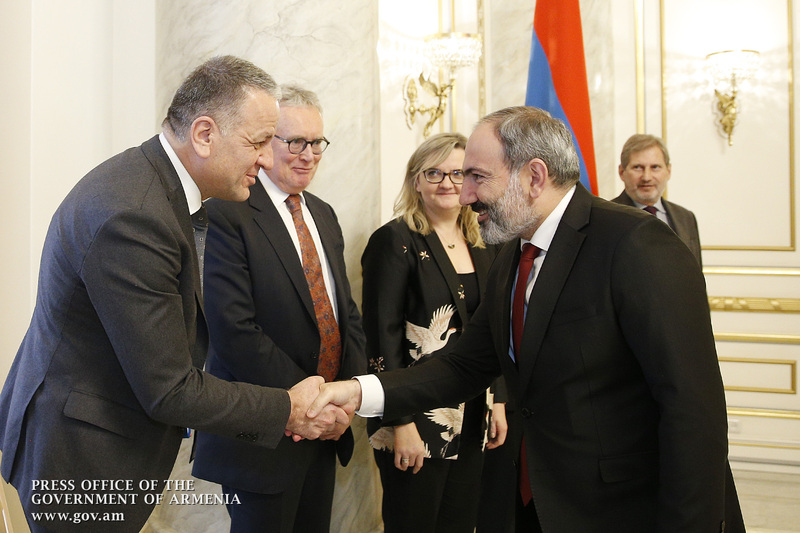 Prime Minister Nikol Pashinyan today received EU Commissioner for European Neighborhood Policy and Enlargement Negotiations Johannes Hahn. 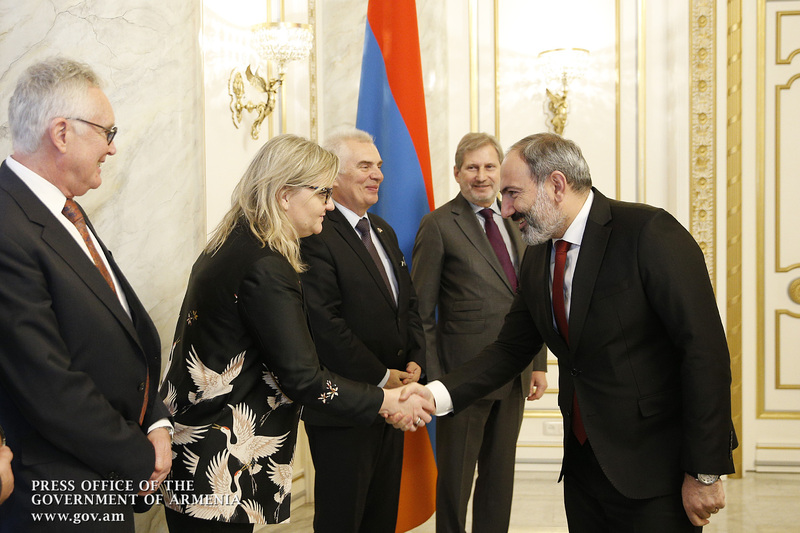 Welcoming the delegation headed by the EU Commissioner, Nikol Pashinyan noted that Armenia is eager to deepen the cooperation with the European Union. Highly appreciative of the assistance provided by the EU to Armenia’s democratic development and reform process, the Prime Minister said Armenia is ready to continue cooperating within the framework of the EU-Armenia Comprehensive and Enhanced Partnership Agreement (CEPA). Coming to the latest December 9 parliamentary elections, the Head of State said that the elections were free and transparent as evidenced by international observers, and our country is steadfastly advancing on the path of democracy. The Premier underscored that his government is now set to implement an economic revolution in the country, and consistent steps are being taken in that direction. In turn, Johannes Hahn emphasized that the European Union is keen to further develop relations with Armenia and stands ready to promote the implementation of reforms initiated by the Armenian government. The EU Commissioner welcomed the democratic changes taking place in our country, stressing that as an Eastern Partnership Program participant, Armenia is considered to be an important partner for the EU. 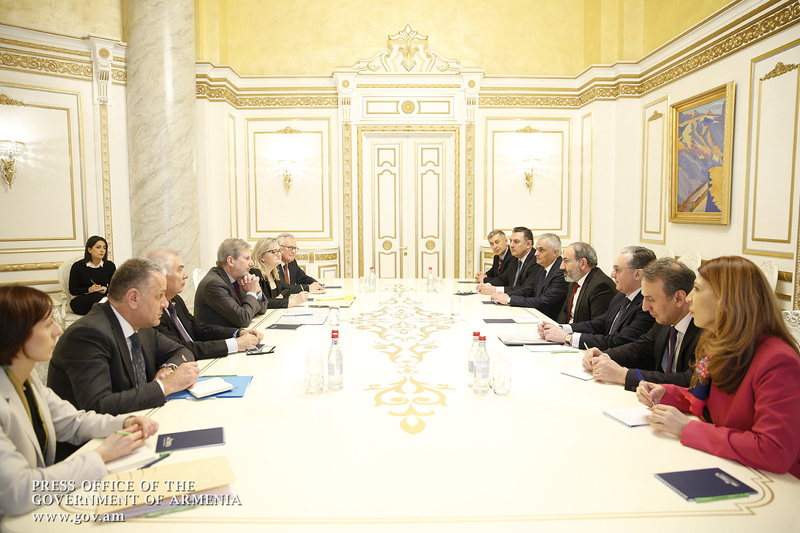 The parties exchanged views over the bilateral EU-Armenia agenda, touching on CEPA-related issues, including development of democratic institutions, strengthening of the rule of law, protection of human rights, judiciary reform, as well as the fight against corruption and the improvement of the business environment. Both sides stressed the importance of building an independent judicial system in Armenia.